A year ago at this time, the Seahawks were in the process of vetting Frank Clark — the controversial pass rusher they were targeting at the bottom of the second round. Remember when the Seahawks ‘slammed’ the door on Hardy? 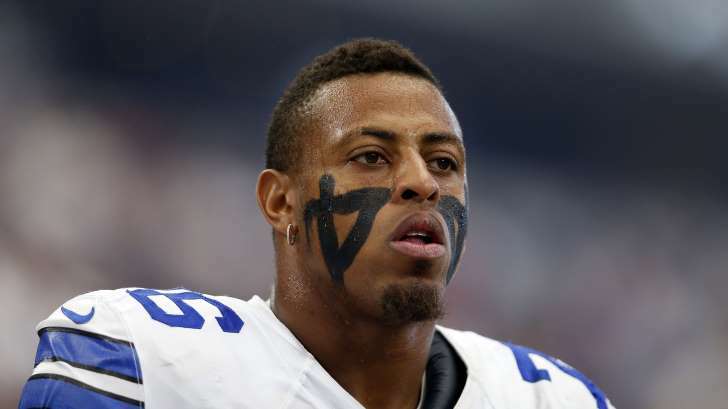 As Greg Hardy proceeds to melt down in Dallas right before our eyes – and right before the Seahawks play the Cowboys this weekend — it’s a good reminder that the Seahawks realized what a head case the mercurial pass rusher was and steered away from him. If you recall, a report out of Dallas in March indicated the Seahawks were willing to match any offer the Cowboys made for Hardy, who was facing a domestic-assault case and a suspension (which ended up being cut from 10 games to four). The Seahawks did admit to checking into Hardy, calling it their usual “due diligence,” but general manager John Schneider also said they had zero interest in Hardy once they learned the specifics of the domestic assault case. The Seahawks are focusing this week on figuring out how to finish games, but a fair number might not even get in the game Sunday when they play the Carolina Panthers. 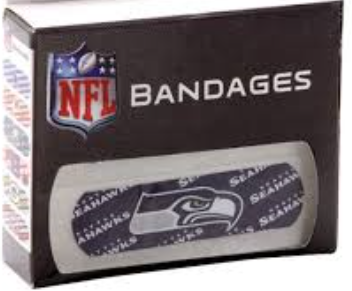 Of the 10 players on the Seahawks’ injury report Thursday, nine were defensive players – and their front seven suddenly has joined their secondary in making the entire defense a M*A*S*H unit. That could create problems against Carolina, which comes in with the No. 4 rushing offense in the NFL (132.3 yards per game) and has the best toxic differential (turnover margin and big-play margin) in the league. 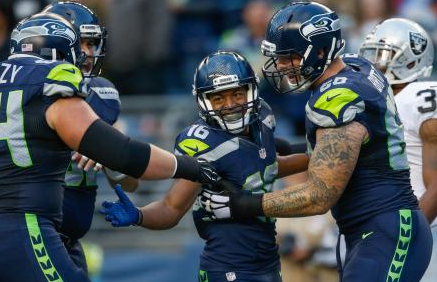 Lockett, Clark finish preseason like they started it: Bang! 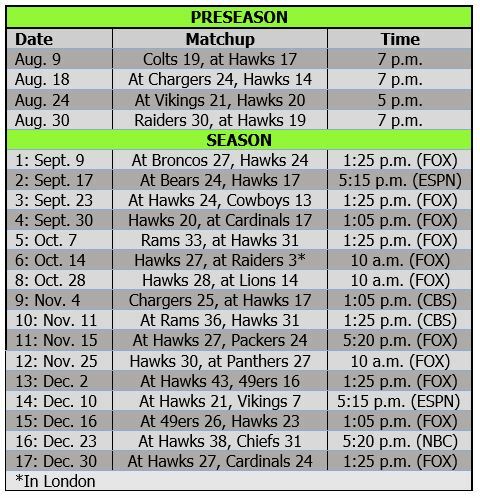 Tyler Lockett and Frank Clark finished the preseason the way they started it — with a bang (or two or three). And B.J. Daniels surely locked up a roster spot with his display of diversity in Seattle’s 31-21 win over Oakland on Thursday. Lockett’s 63-yard touchdown catch off a perfect pass from Russell Wilson was the rookie’s third touchdown of the preseason — he returned a kick for a score in the first game and also had a punt return for a TD. Clark dominated the line of scrimmage vs. the Raiders, notching a tackle for loss and causing a fumble for a TD on a sack in the end zone. Pete Carroll was impressed with all three players. “Obviously B.J. had a great night tonight,” he said, referencing Daniels’ great running (75 yards on seven rushes) and saying the receiver/quarterback managed the team well. Kam Chancellor was among those interviewed by precocious 10-year-old Isabella for NBC’s “Sunday Night Football.” But will he even be there when the Hawks play Green Bay on “SNF” in Week 2? Jason Cole of Bleacher Report thinks the Hawks will extend Chancellor by a year so they can pay him more this year. That goes against most opinions on the Hawks’ thinking. Irvin also has advice for fellow Seahawks draft gamble Frank Clark. Chargers QB Philip Rivers said he didn’t think anything about his minor scuffle with Clark last weekend. Tom Cable said this group of linemen — Russell Okung, Justin Britt, Drew Nowak, J.R. Sweezy, Garry Gilliam — could turn out to be the best he has had. Not sure that would say too much. The call to Fred Jackson proves the Seahawks clearly still don’t trust Christine Michael as the No. 2 back. Kevin Norwood is ready to play in Carolina, where he is being coached by one-time Seahawks WR Ricky Proehl. The Seahawks entered their second preseason game with a lot of questions on the offensive line and secondary and came out with some mixed answers in a 14-13 loss to the Chiefs in Kansas City. They also showed what Jimmy Graham will do for them, saw more from Tyler Lockett and got another great game from their No. 1 front seven on defense. With Justin Britt moving from right tackle to left guard and Garry Gilliam stepping in at right tackle, the offensive line performed much better than it had in the opener vs. Denver, which got seven sacks. Wilson was not sacked as he completed 9 of 15 passes for 78 yards. But the first offense really struggled again to run the ball and could not get into the end zone. Robert Turbin ran for a mere four yards on six carries, and Christine Michael ran for 27 on 10 attempts (and also busted a running play by going the wrong way). 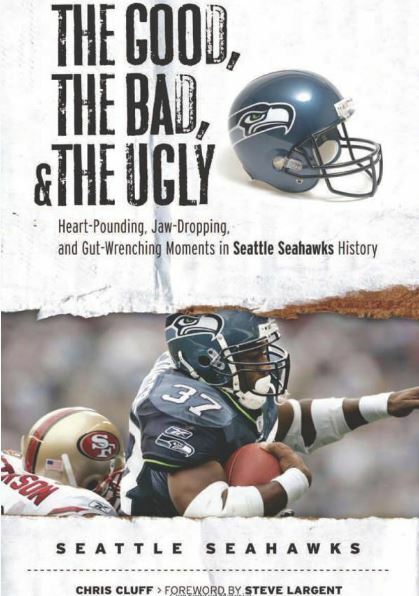 It wasn’t any better than the first game, when the Seahawks totaled just 89 yards on 24 attempts. He said the offensive line “did not get the movement we need.” He also confirmed that free-agent guard Evan Mathis is coming to Seattle for a physical Saturday. Earl Thomas returned to the field in pads for the first time since the Super Bowl. “Just don’t go feelin’ sorry for me, people!” Nate Boyer said after the Hawks released him Tuesday. Boyer was cut because the Hawks needed to add a quarterback: Tyler Lockett’s Kansas State QB, Jake Waters. Anthony McCoy, who in the preseason opener showed his old habit of dropping easy catches, tried to make up for it in practice with a couple of great catches. Field Gulls broke down all of Frank Clark’s big plays from Friday — and there were a lot of them. Undrafted DT T.Y. McGill played well vs. Denver and remains motivated to keep impressing Pete Carroll and the coaches. USA Today goes over old territory on the Chancellor holdout: the price of success, Kam still being a team player, etc. 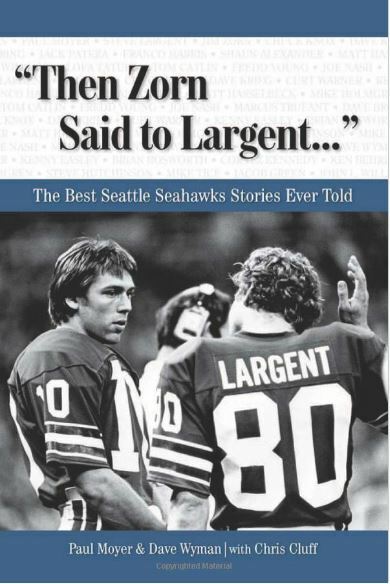 The Sporting News ranks John Schneider as the best general manager in the NFL. Jimmy Staten, waived by Seattle because of depth problems at cornerback, was picked up by the New York Giants. As Tyler Lockett finishes his 103-yard TD return, referee Eugene Hall collides with Pete Carroll on the sideline. 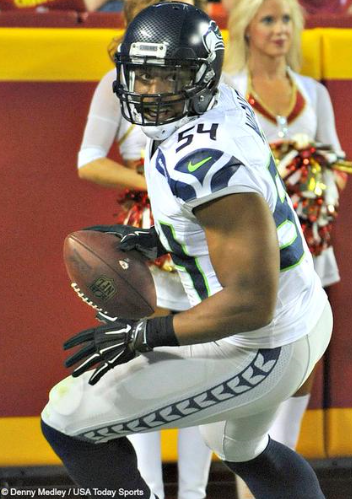 The Seahawks took a lot of heat for drafting Frank Clark and Tyler Lockett with their first two picks this year. The media ripped them for using the 63rd overall pick on Clark, who was kicked off Michigan’s team last year after he was involved in a domestic disturbance. And some were dubious of Seattle’s move to trade four draft picks to take Lockett six spots after they drafted Clark. Clark clearly has to keep his nose clean off the field for eternity, but the performances by him and Lockett on Friday were a nice little sampler of what Pete Carroll and John Schneider expected when they drafted them. 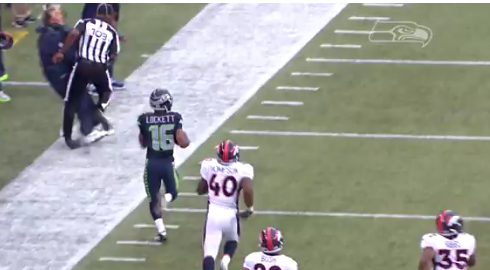 Lockett returned a kickoff 103 yards for a touchdown and finished with 188 yards on four kick returns and 18 yards on his only punt runback in Seattle’s 22-20 loss to the Denver Broncos. Clark, meanwhile, was a monster along the defensive front all game, finishing with a game-high nine tackles and a forced fumble.